iPhone 6 has constantly been in the news since its release. While the first week was naturally more about the demand and hot-cake sales of the product, the later weeks were not really in favor of the device. The iPhone 6 “Bendgate” issue has become one of the most trending topics across the gadget world and Apple has been receiving quite a good number of complaints regarding this “device bending” from its users. 9TO5 Mac blog recently posted an article regarding this bendgate issue and some of the key points from it are mentioned below here. Lewis Hilsenteger from Unbox Therapy published the video when it all got worse. In the video, Hilsenteger clearly bends an iPhone 6 Plus on camera and notes the specific weak point mentioned above. Of course, Hilsenteger had absolutely no idea that his video would cause the Internet to implode, but he assumed it would gain a decent amount of traction based on reports of the iPhone 6 Plus’ bendable properties that had been published earlier that day. 45 million views later, BendGate became a PR nightmare for Apple, somewhat of a conspiracy theory (which Hilsenteger debunked), and a chance for mainstream media to show its true colors. The iPhone 6 Plus will bend if enough pressure is applied to a certain area. In fact, a lot of phones will bend when extreme pressure is applied. Everything has a weak point. And you guessed it, if you try to bend something (or have to means/power to do it) it will bend. That’s hardly the argument here though. As noted in the video above however, it appears that the iPhone 6 has a flawed design that’s being dismissed by Apple and many of its followers. 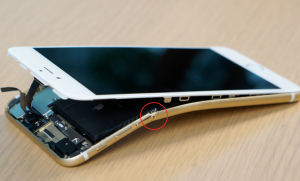 The problem (as mentioned above) is the obvious weak point within the chassis of the iPhone 6 Plus. It is hard to deny. Even display models at the Apple Store have been found slightly bent by kid vandals. “Our iPhones are designed, engineered and manufactured to be both beautiful and sturdy. iPhone 6 and iPhone 6 Plus feature a precision engineered uni-body enclosure constructed from machining a custom grade of 6000 series anodized aluminum, which is tempered for extra strength. They also feature stainless steel and titanium inserts to reinforce high stress locations and use the strongest glass in the smartphone industry. We chose these high-quality materials and construction very carefully for their strength and durability. We also perform rigorous tests throughout the entire development cycle including 3-point bending, pressure point cycling, sit, torsion, and user studies. iPhone 6 and iPhone 6 Plus meet or exceed all of our high quality standards to endure every day, real life use. Well, Putting apart the speculations and opinions, many users have a problem with this bending now. 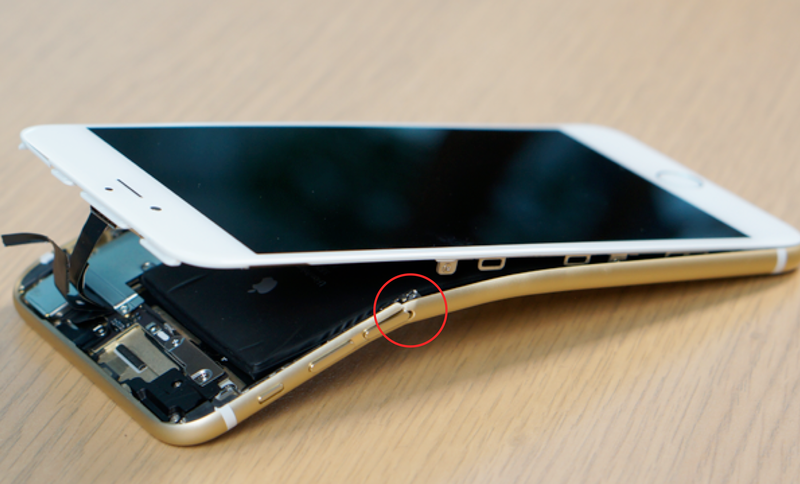 So, we have searched for a solution and found a video that would help you fix the bent iPhone 6 or iPhone 6 plus. PeripateticPandas have posted this video in YouTube that will hopefully come to good use for you if you are facing this issue. Peripatetic Pandas have already posted some solutions for Apple device issues but we did not expect they would be in business as soon as the new iPhone model is released! DISCLAIMER: The key-points and data have been picked up from reliable article sources and we claim no owner-ship of the content therein.